Fairy tales get a bad rap. We blame them for women growing up expecting a handsome prince to ride in on his white horse and save us from the evil witches and stepmothers and queens who plot against us. Strictly speaking, the fairy tale fantasy is of course ridiculous. There aren't enough princes to go around for all of the single women on Tinder alone, much less in the world. And very few of us actually have evil stepmothers plotting our destruction. But all of us have obstacles of some sort to tackle. Big, small and everything in between. Some are devastatingly unfair, others are mundane and easily forgotten. But we all have our version of a wicked stepmother to contend with. And there are princes out there -- not so many of the actual, lives-in-a-castle variety (which is fine, because castles are drafty and most princes are boring and can't even change a lightbulb). But there are loving, beautiful (in many ways), kind men out there, who do make you feel rescued, even if only from the pain of not having someone to love. Cinderella has somehow become the poster child of the lucky girl -- even though she lost both of her parents and endured miserable treatment at the hands of her stepmother and stepsisters. Her only friends in the world were the mice she slept among. These days, child protective services would have to get involved. We focus on Cinderella's dreamy dress, her magical pumpkin coach and of course - those glass slippers. She was beautiful, and her physical beauty is a distraction from the most important part of the story. The thing that insured Cinderella's happy ending wasn't that she was the prettiest girl in the room. Our culture has been telling you since you were a little girl that the most important thing you can be in this world is pretty. The prettier you are, the more you'll be loved, right? Wrong. The key to Cinderella's happiness was that she never allowed all that she lost and all those who mistreated her to define her. She never closed her heart to love. She never felt entitled to more than anyone else had. She didn't strive to be the prettiest girl in the room. She didn't want to stick it to her wicked stepmother and stepsisters. Cinderella was fierce. She was victimized, but she wasn't a victim. It's easy to view her kindness as weakness, but really - what is stronger than turning the other cheek? Of not letting others kill your vibe? How easy is it for us to become bitter, stuck in our story of how wronged we've been and what we've lost? And for that hurt to turn into the entitlement of believing we want what and who we want because we deserve it after all we've been through? With a side of getting even with those who've wronged us, for good measure. All Cinderella wanted was to go the ball, like everyone else. Even if it meant going in an old dress and never meeting the prince. Cinderella was the Yoda of debutantes. "Fear is the path to the dark side. Fear leads to anger. Anger leads to hate. Hate leads to suffering" said Yoda, and Cinderella understood this instinctively. She always chose love. She didn't plot and she didn't scheme. When her Fairy Godmother finally showed up, Cinderella didn't say: "I'm going to show them - make me the hottest girl in the room!" or "I'm going to snag that prince so I can get the hell out of here!" She didn't even complain that she only had until midnight before she had to return to her miserable existence. And it's not just Cinderella - there is no happy ending in any fairy tale for anyone unless they are kindhearted, humble, see the best in others and are grateful for what they have, even when it's less than everyone else. That's the thing that makes all those fairy tale princesses so beautiful. Now, Cinderella is not a real-life biography. Most of us would have poisoned our wicked stepmother and stepsisters years before the ball (and been acquitted for doing so). The goal is not to be a saint (but don't poison anyone either, please), but to let love win the day. To see the truth in every fairy tale, which is that the person who is able to love the most is the one who receives the most love in return - eventually. There's a reason why we all know these stories. Why they've been around for hundreds of years. 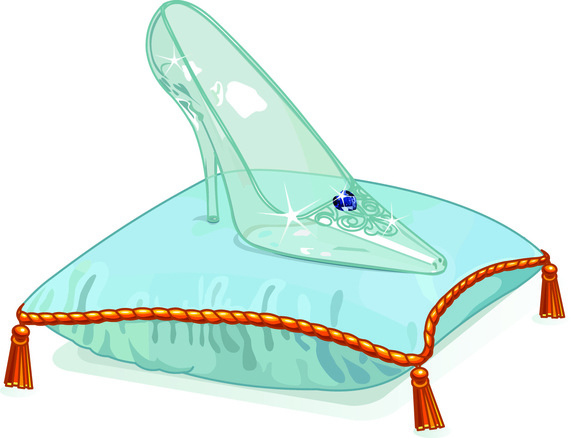 There are 345 known versions of the Cinderella story, spanning the globe from China to France. A story like this doesn't get told over and over again for centuries without there being some essential truth at its core. Does that mean you should let the wicked stepmothers of the world abuse you without complaint? Of course not. But it does mean that if you want someone to see the beauty in you, you have to be brave enough to let it shine through. Francesca is a professional dating coach and matchmaker. You can catch her as a regular expert guest on NBC's The Today Show, and on The Hoda Kotb Show on SiriusXM. Get more free dating advice and even book a free session at www.francescahogi.com!